John Holbrook Easby was born in Philadelphia on August 14, 1844, to William Easby and Jane Holbrook. 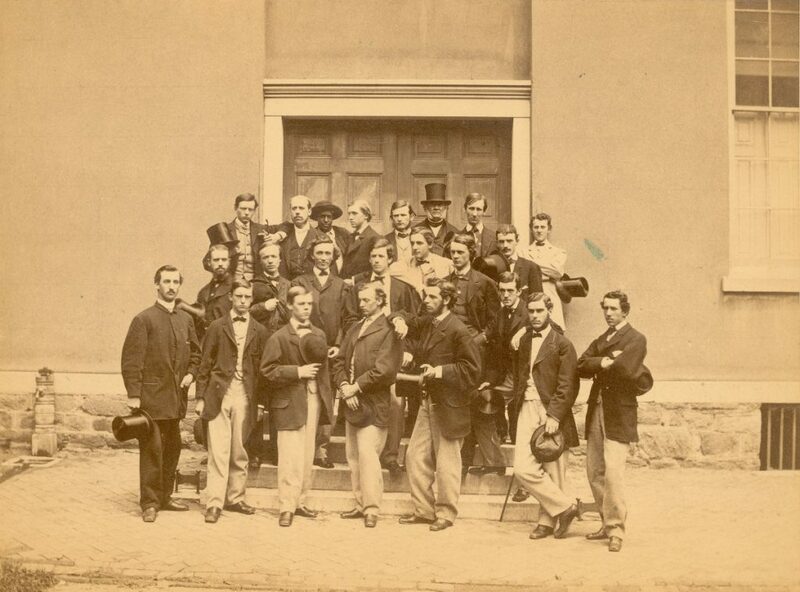 Easby enrolled in 1861 as a member of the College Class of 1865 and left at the close of his sophomore year. While at Penn, he was a member of the Philomathean Society. John Holbrook Easby succeeded his father in the family sugar refining business, but he studied law as well and was known as an excellent accountant. At the time of the 1870 census, young Easby was listed as a lawyer, still living at home with his parents. In 1876 he married Elizabeth Clifford Stevenson; their son, May Stevenson Easby, was born in 1878. The following year Easby was again at Penn, this time enrolled in the University’s Towne Scientific School. In 1900 he was a lawyer, living at 311 South 16th Street in Philadelphia with his wife and his son, a newspaper editor. By 1910 Easby had retired, but his residence remained at the same 16th Street address in Philadelphia. He died in an Atlantic City hotel on November 9, 1922.